The fact that my extra rolls of tp sat for all to see (ok, only me and The Hubs since it’s our master bath) has been bothering me for ages! What to do to disguise those little fellas? 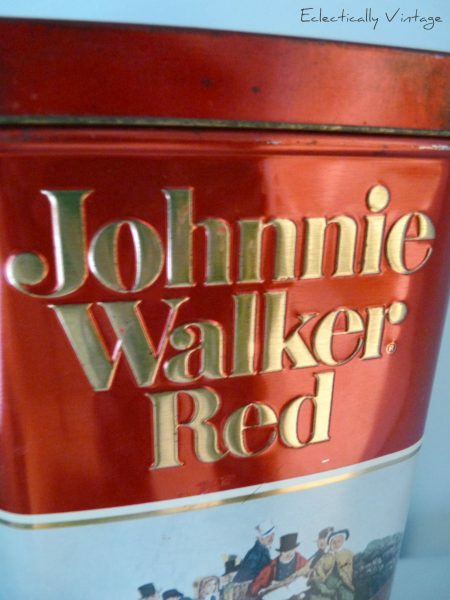 Wouldn’t your first thought be to use an old Johnnie Walker Red scotch tin? I thought so! Found this guy at the thrift shop for $1.25! I didn’t know what I was going to do with it when I bought it but then one day while sitting (yes, you guessed where), a light bulb went off (not in the bathroom – in my head)! After I finished my business, I ran downstairs, got the tin and found it fit 2 rolls of tp perfectly. Back upstairs I trekked and the rest is bathroom history. 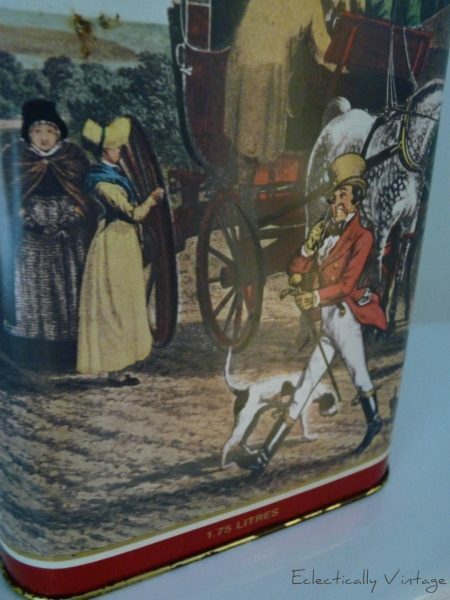 Isn’t Johnnie dapper with his walking stick! Look at that lady flirting with him! 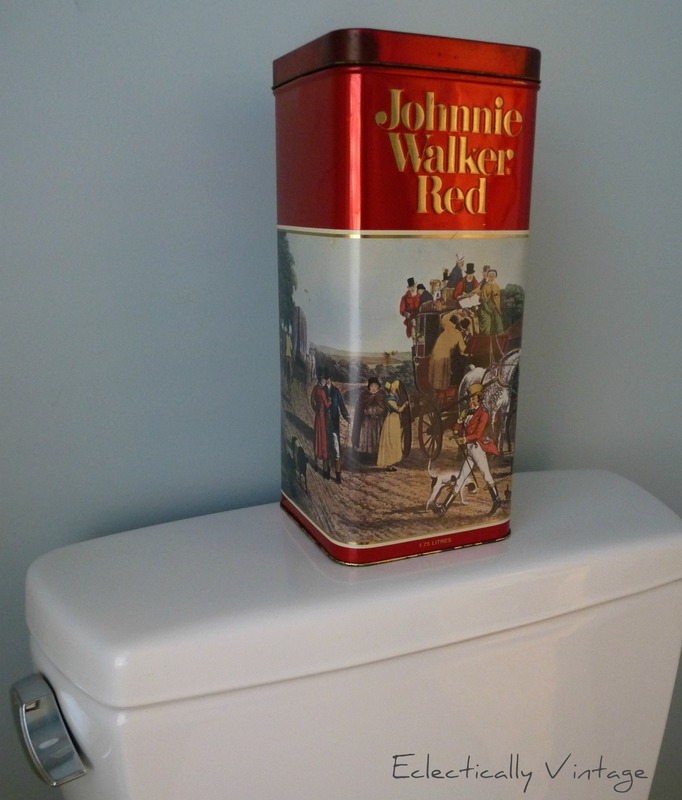 So think outside the Charmin box and use something different to hold your bathroom necessities.